Innovative interactive online platform presents evidence of alleged war crimes committed by US military unit, currently under investigation by US government. New York, NY—June 21, 2016—The Nation, America’s leading weekly magazine of progressive politics and culture, and SITU Research, an interdisciplinary studio uniting design and human rights, today launched “Where the Bodies Are Buried,” an interactive online platform that presents detailed evidence of war crimes allegedly committed by the US military in Afghanistan. Based on Matthieu Aikins’s award-winning 2013 investigation into the deaths of 10 Afghan civilians in the area surrounding a US Special Forces base, the new project throws all available evidence into sharp relief and allows the public to examine the case. 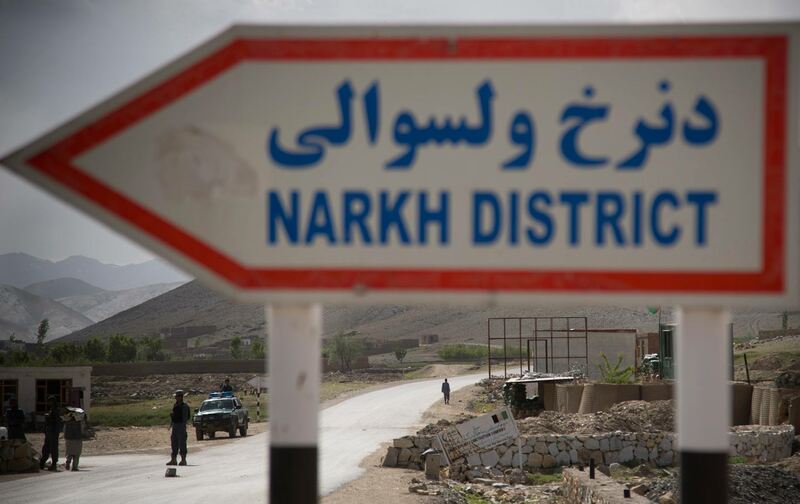 Between November 2012 and January 2013, 10 Afghan men disappeared in Nerkh, a volatile district in central Afghanistan. According to dozens of eyewitnesses, they were all detained and arrested by the same US Army Special Forces unit: ODA 3124. On April 6, 2013, shortly after local protests forced the American unit out of the district, Afghan officials began finding the missing men’s bodies buried near the Special Forces’ former base. An Afghan interpreter affiliated with the US unit remains the only person arrested in connection with the deaths. In July 2013, the US Army’s Criminal Investigation Command launched an internal investigation into the matter. Nearly three years later, it remains open. Synthesizing data from satellite imagery, testimony photographs and videos, “Where the Bodies Are Buried” provides a spatial and temporal exploration of the alleged war crimes. Situated at the intersection of journalism and design, the interactive platform is optimized to present disparate evidence as a coherent and accessible narrative. The user’s ability to explore the site is an attempt to render visible the facts on the ground. If the Army’s investigation is made available, it will be added in its original form as the final chapter of the platform. Taken together, this initiative offers an unprecedented level of public access to US military activity in a remote and often overlooked part of the world. Mapping out the environs of the former Special Forces base, “Where the Bodies Are Buried” links them to the villages from which the individuals were detained and the approximate burial sites where their bodies were found. Allegations, photos and video from these sites are presented here and provide additional evidence. A warning: the project contains graphic content that some may find disturbing. Matthieu Aikins is available for interview from New York City on June 21. He is otherwise based in Kabul, Afghanistan. Designers at SITU Research are available for comment from Brooklyn, NY. For booking requests or further information, please see contact information above. SITU Research is an interdisciplinary design practice that operates at the intersection of architecture, law, science, and human rights. SITU Research has worked with organizations such as The International Criminal Court, Human Rights Watch, B’Tselem, and Fédération Internationale des Ligues des Droits de l’Homme and submitted previous work to international organizations such as the Council of Europe’s Committee on Migration, Refugees and Displaced Persons, and the United Nations Special Rapporteur on human rights and counterterrorism. This work was undertaken as part of the Spatial Practice as Evidence and Advocacy project. SITU Research is a division of SITU, an interdisciplinary design practice located in Brooklyn, NY. Matthieu Aikins is a Schell Fellow at The Nation Institute. His reporting from Afghanistan, Pakistan, Syria, and Libya has appeared in magazines like Harper’s, Rolling Stone, The Atlantic, GQ, and Wired. His investigative work exposing war crimes in Afghanistan won him the George Polk Award and the Medill Medal for Courage in Journalism. He has twice been a National Magazine Award finalist, and his work has appeared in the anthology The Best American Magazine Writing 2012. For more information, please visit: http://maikins.com/.